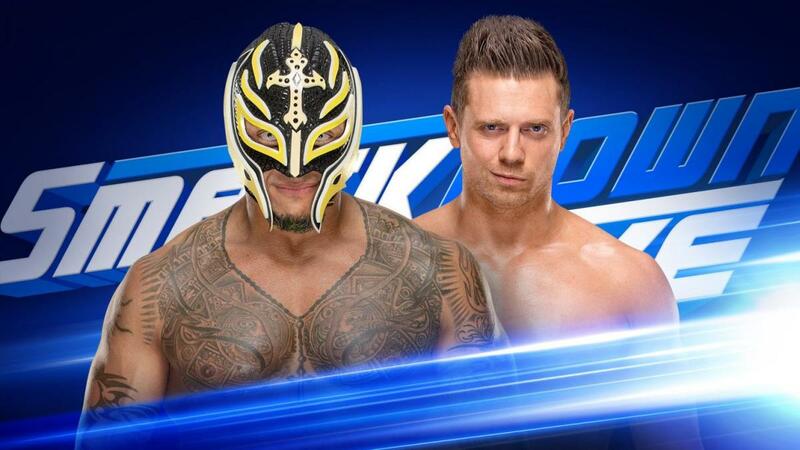 WWE has made their first couple of announcements for Tuesday's episode of SmackDown. After making his return this past Tuesday and defeating Shinsuke Nakamura in a World Cup qualifying match, Rey Mysterio will be appearing on Miz TV. Rusev vs. Aiden English will also be taking place on the show. On SmackDown 1000, English interfered and cost Rusev his World Cup qualifying match against The Miz. There was then a post-match angle where Lana gave English a low blow and Rusev attacked him. Their storyline has included English taunting Rusev and Lana with his "One Night in Milwaukee" video, which was ultimately revealed to be Lana declining an advance from English. The Prudential Center in Newark, New Jersey is hosting Tuesday's SmackDown. Mustafa Ali vs. Hideo Itami in a falls count anywhere match and Mike Kanellis vs. Lince Dorado are set for the 205 Live tapings, and Natalya & Bobby Roode vs. Bayley & Finn Balor and Asuka & Miz vs. Naomi & Jimmy Uso are scheduled for Mixed Match Challenge.